It’s yeasty, and soft, and excellent with a hot cup of tea or coffee. Plus, if you make it right, you can underbake it just a bit to make the dough pull slightly as you dig in. And if you really do it right, you can pile beautiful crumbs on top. Imagine a cinnamon bun with a crumble topping, and you’ll see why I’m feeling the love this morning. Plus, the babka is filled with lots of cinnamon and cinnamon chips. If you’ve never had a cinnamon chip, well, yeah. You need to change that right now. Hershey’s makes them, and they’re divine. The dough for this babka is made in the bread machine. I throw in the ingredients, set it to the dough cycle, and then put the finished dough in the fridge overnight. The next morning I can roll it out (it rises perfectly over the course of the night in the cool temp) and get it in the oven. Hello, breakfast! If you’re a crumb fiend, a cinnamon roll fiend, or just a fiend for the best breakfast ever, these are right up your alley. And if you see a babka at the grocery store, you can avoid it without feeling any remorse because this one is just better! 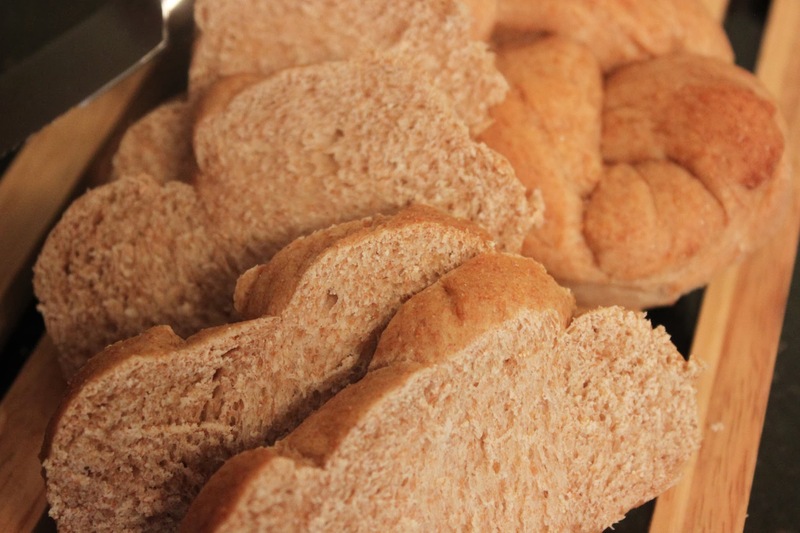 Add the dough ingredients to the bread machine pan according to manufacturer’s directions and set to the dough cycle. When the dough is finished, allow to rise for one hour in a greased bowl until doubled in size. If you don’t have as much time, put the dough in the bowl and allow to rise overnight in the refrigerator. It will rise on its own in the fridge and be ready to go the next day! When the dough is ready, make the cinnamon filling. Pour the cinnamon chips into a bowl. Mix in the sugar and cinnamon. Pour the melted butter over the mixture and stir until all the ingredients are mixed. Preheat oven to 350. Coat a 10-inch springform pan with cooking spray. Turn the dough out onto a lightly floured surface. Roll the dough into a large, thin rectangle. Sprinkle on the filling evenly, making sure the edges are covered. Starting with the long side of the rectangle, roll up the dough to make a long, thin roll. Using a sharp knife, cut into 1 and 1/2-inch thick slices. Place the rolls flat into the prepared springform pan. Make the crumb topping. Mix the powdered sugar and flour. Add the melted butter and, using your hands along with a spatula, combine the ingredients to form large crumbs. 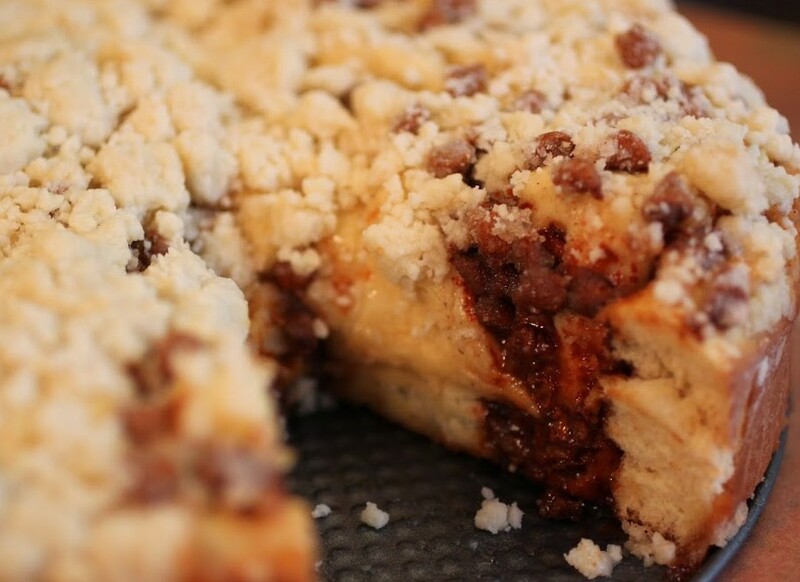 Sprinkle the crumbs evenly and liberally over the babka, even between the crevices in the dough. Bake for 30-35 minutes until the crumbs are turning golden and the dough is browning. It’s very important not to overbake the babka because that dries out the dough. I like mine a little tiny bit underbaked in the middle, but not everyone is into that! Cool the babka completely. Then, release the sides of the springform pan. You can serve the babka or wrap it up and freeze it. I am won over by anything that is sugary and full of cinnamon. Yum! I’m with you, Dannii! I always forget how addictive cinnamon is. This is a good reminder! It’s sort of a routine that either husband or I will walk around the bakery section whenever we go grocery shopping. We usually end up with something in our carts, though I definitely wouldn’t buy anything if I had this babka! Love the flavors! And that crumb topping looks fantastic! Delish! I’ve actually never had babka! This looks delicious though, so I’m obviously going to have to try it! You’ve gotta, Stacey! 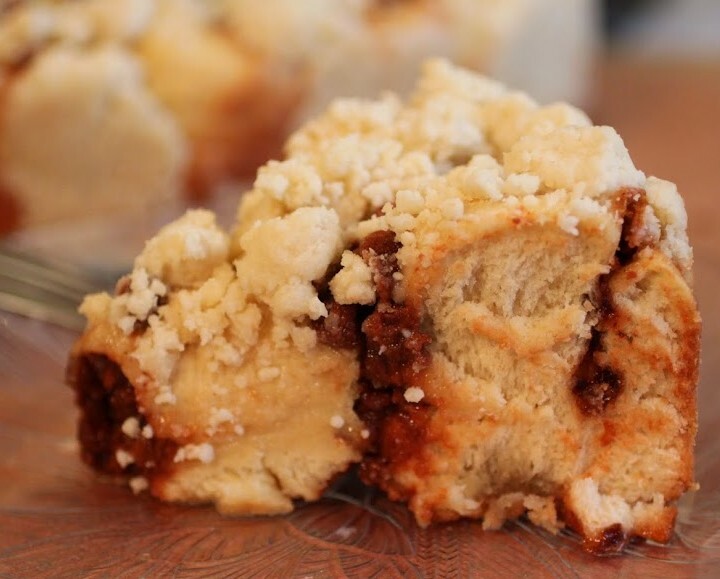 Babka is one of life’s pleasures. It’s yeasty and sweet and totally decadent. 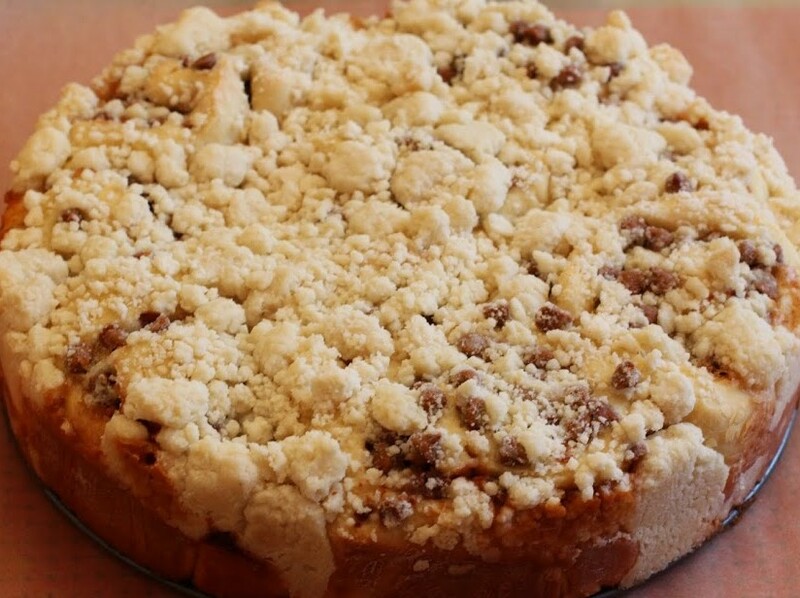 As I’ve said before- I love the cake recipes with crumb topping, you’ve been sharing Mir! This babka sounds fantastic! Love how you can leave the dough in the fridge and use it in the morning! The cinnamon chips are perfect for this recipe! Anything you can leave for the morning is a winner for me, Mira! The way it’s not a crazy amount of work. 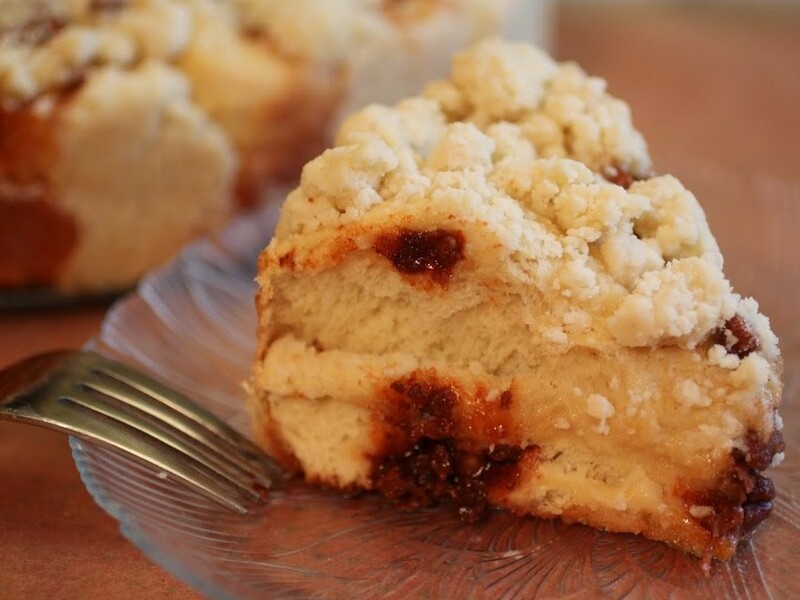 I love babka too.. and this cinnamon crumb version is just calling my name. 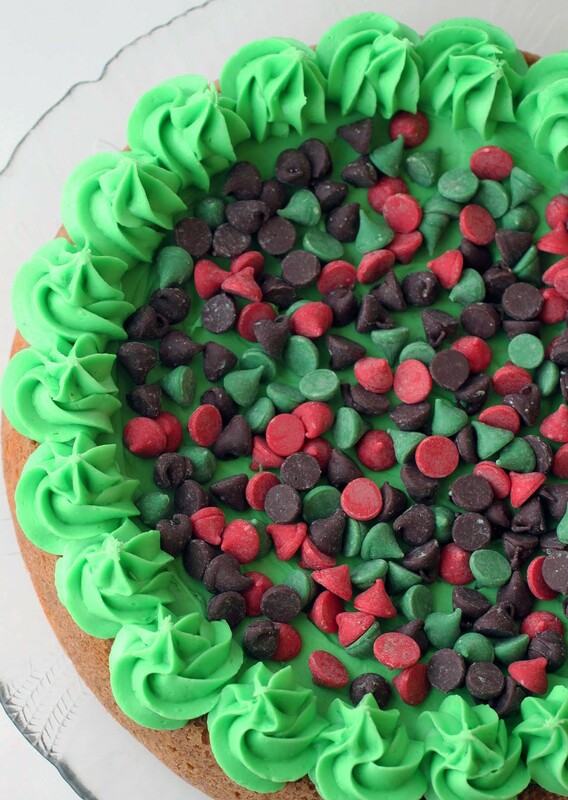 Wish I had a slice to devour right now! I’m so glad you’re a fan, Thalia! It’s one of those desserts that needs to be a U.S. staple. I can’t stop eating it! I love going through the bakery too, it can be a little hard for me to resist sometimes though. I’ve never had babka before, but it sound amazing! I know my husband would love this too! Give it a shot, Danielle! It’s super easy. And I can tell you that the husbands love them! 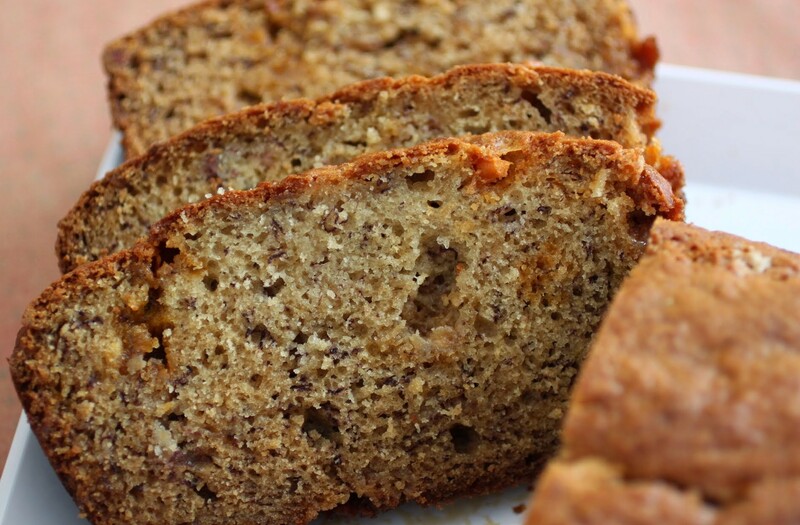 crumbly and loaded with cinnamon ‘n sugar!! all I need now is a cup of coffee! delicious share, Mir! Coffee would be good with this, Savita! Thanks! I’m a big fan of the baking aisle, Manali! And of babka. Try it. I bet you’d make an amazing one! I feel for your kids, because I also want to buy the gobs of frosting and sprinkles. I guess I’m a kid at heart, Alice! Oh my god you are sending me to cinnamon heaven! Why have I never tried babka before?! No idea, but that needs to change, Medha! cinnamonnn! I love that stuff 😉 yum this sounds so great!!! perfect with a cup of coffee! Yep, it’s pretty great stuff, even though I sound really obnoxious when I say that. Turned out great! Looks delish!!! Can you tell me the amount of sugar to use in the filling? Oops, I’ll fix that! It’s supposed to say one cup, Evelyn. Hope it turns out well for you!